FEE: Enrolling for the main stage production. $350. We only have 4 spots left for girls and 2 spots left for boys. 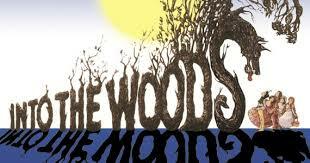 Performers (Ages 8-Teen) will rehearse and perform a fully realized musical production of Into The Woods! Performers will dance, sing, and act in this triple threat camp which will culminate in a performance for friends and family. Proper vocal technique will be taught in addition to dance classes alongside the production rehearsals. The Summer Stage production experience features costumes, lights, and all the magic that goes into putting on a show. Girls and Boys: Comfortable clothing, sneakers, jazz shoes. All: One nut free lunch (Monday through Thursday, on Fridays we provide a pizza party), two nut-free snacks (Monday through Friday), a water bottle labelled with your name. Email dance@gardenstreetmusic.com to enroll. Call 201-683-9100 or click on the link below to register online!